Though you never need an excuse to spend more time with your family, sometimes it helps to have a little reminder to slow down and enjoy one another’s company. That’s what Family Fun Month in August is all about—and with summer winding down, it’s the perfect time for kids and parents to spend some extra quality time together. 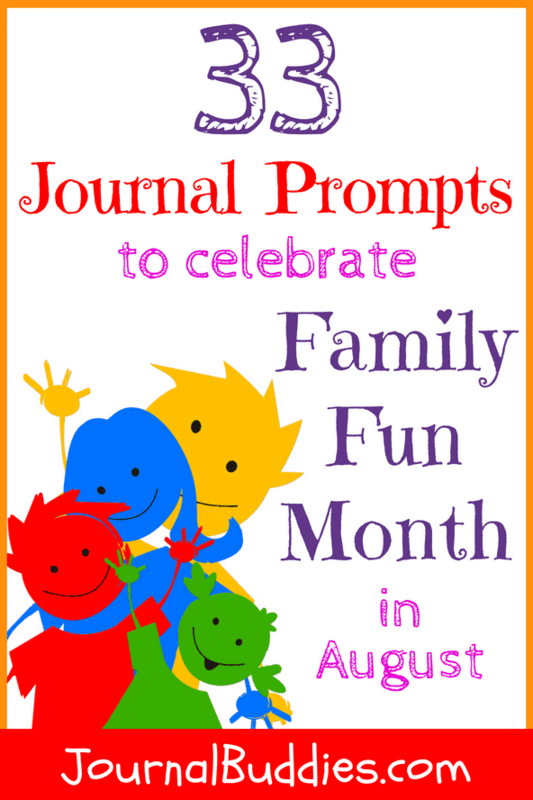 These all-new Family Fun Month journal prompts are special because they contain plenty of exciting activities for families to enjoy together. Simply choose an activity that appeals to your family and plan a day to try it out—and afterward, sit down together and reflect on your experiences in a shared journal entry. 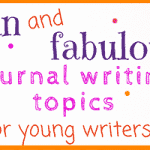 You can also have the kids do the writing and then discuss their thoughts together as a family. It’s a great way to build special memories and to also help kids learn the value of quality family time. 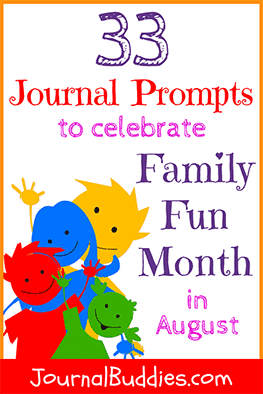 Use these fresh Family Fun Month journal prompts this August (or really, any time of year!) to create special memories that you and your kids will cherish forever. Family fun can take place anytime and anywhere. What is your favorite way to spend time with your family? What is your favorite family memory? What makes it so special? How would you define “quality time”? Are there things that make it challenging for your family to have quality time together? Why is it important to spend quality time with your family? How often does your family get to enjoy quality time? Get crafty! 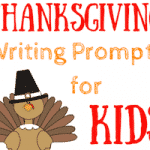 Choose a fun craft to do with your family. Then, write about your experience. Head outside! Choose an outdoor activity to do with your family. Then, write about your experience. Have a movie marathon! Let everyone pick a movie and a snack and stay in together. Then, write about your experience. Head to the water! Take a day and spend it at the beach or the pool with your family. Then, write about your experience. Have fun in the kitchen! Choose a meal that everyone can make together. Then, write about your experience. Throw a party! Get a cake and some decorations and have a party to celebrate how great your family is. Then, write about your experience. Take a mini road trip! Choose a place an hour or two away that you’ve always wanted to visit and take a mini road trip to see it. Then, write about your experience. It’s board game night! Order in and spend a night with your family playing games and having fun. Then, write about your experience. Camp in the living room! Construct a blanket fort with lots of pillows and pretend your family is camping at home. Then, write about your experience. Spend the whole day outside! Plan some fun outdoor activities and soak up the sun with your family. Then, write about your experience. Play hometown tourist! Spend a day seeing the sights and attractions your city is best known for. Then, write about your experience. It’s time to learn something! Go to a local museum and spend the day learning with your family. Then, write about your experience. Have a picnic! Prepare a fun picnic spread and bring some games to enjoy a leisurely afternoon in the park with your family. Then, write about your experience. Try something healthy! Go for an after-dinner walk around the neighborhood with your family. Then, write about your experience. It’s role reversal day! The kids are in charge and get to decide what’s on the agenda and what’s for dinner—and the parents have to go along with it. Then, write about your experience. Play hide and seek! Get creative with your hiding places—the loser has to cook dinner. Then, write about your experience. Record some memories! Have a silly photo shoot and take lots of pictures of the whole family. Choose one to have framed. Then, write about your experience. Learn about your family history! Take time to go through old family photos and have your parents tell you family stories. Then, write about your experience. See some animals! Visit the zoo, an aquarium, or even a pet store together and see all the animals. Then, write about your experience. Cook up some family fun! Choose a new recipe and try it out together, pretending you’re all on a cooking show. Then, write about your experience. Have a talent show! Have everyone choose and perform a talent for the whole family (and be sure to record it for extra fun)! Then, write about your experience. Teach your parents something! Sit down with your parents and teach them something they don’t know—how to play a game, all about your favorite TV show, etc. Then, write about your experience. 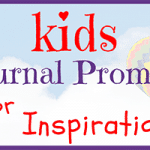 Make a family scrapbook! Gather photos and fun memories to create a scrapbook of your family. Then, write about your experience. Exchange homemade presents! Everyone should make a gift for each other and wrap it creatively. Then, write about your experience. Have a “say yes!” day where everyone gets to choose one thing they want to do—and everyone else has to say yes to it! Then, write about your experience. 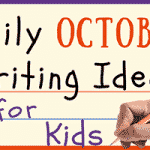 What can your family do to integrate more family fun into your lives in the months going forward? Make a family fun plan together. Did you learn anything new about your family or yourself this month? Describe what you learned from your experiences. Did you end up spending more time with your family this month? How was it different than other months? What was your favorite part of Family Fun Month? Reflect on your experience.